Polldaddy is a website that allows you to create, distribute, and interpret the results of polls, surveys, quizzes and ratings. Polldaddy is an easy to use assessment tool that will change the way you teach for the better; check it out today by clicking here. PollDaddy was created originally in Ireland, but has since been bought by Automattic Inc. An account is required at set up and you can choose from three packages ranging from free to $899 a year. This site is great for creating quick assessments to be used at the beginning, in the middle, or at the end of a lesson or class. The quizzes, polls and surveys have a variety of question styles and you can quickly and easily view the results to improve your instruction. You can even share the results to help your students become more self-reflective learners. Watch this video to learn more. Video script. There are several account options that range in price. 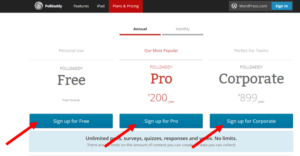 The free Polldaddy account does not cost money, it contains polldaddy links (self-advertising) in the content and allows you to generate basic reports for polls, quizzes, and surveys. The professional account costs $200 a year and does not contain polldaddy links in the content. 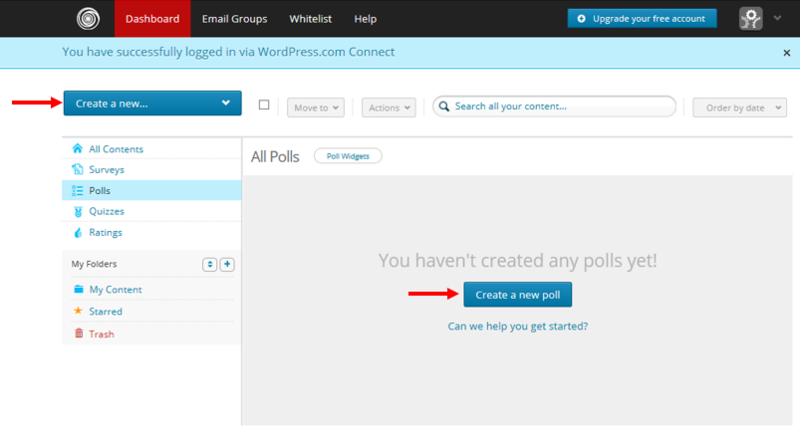 It also allows more advanced reports to be generated for polls, quizzes, and surveys. And finally there is a corporate account that costs $899 a year and has the same features as the professional account except that it allows up to 10 users (people who are able to create polls) rather than one which both the free and professional accounts are limited to. Polldaddy is very easily distributed in a variety of ways that make it accessible through multiple devices including phones, tablets, and computers. You can distribute a poll, quiz, or survey on a website, via Facebook or Twitter, through email, or by using the iPad App available in the apple store. Polldaddy is incredibly intuitive to setup and use. You just choose what type of assessment you want to create, drag and drop the types of questions in the order you want them and then type in the prompts and answer choices where appropriate. You can then choose how you wish to share the survey, by link, email, or posting it to a different website. 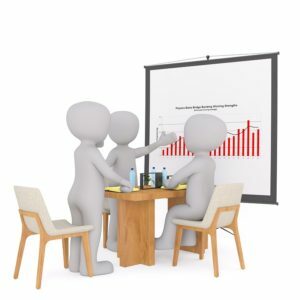 Getting reports on any of these assessments is also very easy – just go into your dashboard with all of your assessments, find the assessment you want, and then click on reports. In the reports section you can also view each participant’s responses, the location and time at which they participated, and how long it took them to complete. There is also a very comprehensive help section filled with FAQs, a search button, and video tutorials. If you need to get in touch directly with Polldaddy administrators, you can do so through their contact option on the help page. Because the surveys, quizzes, and polls are created by the individual user, the power and bias likely to be prevalent in any quiz, poll, or survey is most likely to stem from the user themselves. The surveys, quizzes, polls can be written in a variety of different languages including those that are character-based. The surveys are navigable by keyboard and can be read by screen readers but according the creators, the site was not tested on screen readers and so the readability may not be without error. Substitution: Instead of giving a paper test or quiz, give it online via Polldaddy. Augmentation: Use the reports section to more quickly grade responses from your students on questions and quizzes. Modification: Use Polldaddy surveys to conduct a pre-course or pre-lesson survey with multidimensional question and answer formats, you can even include various forms of media. Use the results to guide and improve your instruction. Redefinition: Use survey, quiz, and poll results allow students to instantly analyze class results and create personal learning goals. You can also have students create their own polls, quizzes, and surveys to gather their own data and answer questions they have developed for a specific lesson or project. Math: Have students come up with something that they are interested in investigating and have students develop surveys centered around that subject. 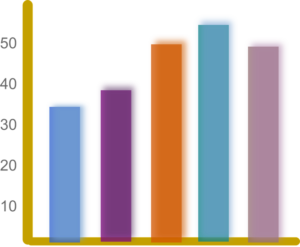 Use results from surveys that students created to study statistics and present their findings. Science: This is a great tool for gathering data about what students think prior to an experiment and helping them to develop a functional hypothesis from their reasoning. Polldaddy can also be great for science fairs. Students requiring data from large groups of people can develop a poll and distribute it to their friends and family, and then collect and interpret their results which they will present at the fair. You could also ask your community to help in doing a population survey of certain species to study in ecology. Have students develop a survey and distribute it to students, parents, and teachers asking them to record how many blue jays, for example, they saw in the past week and where they saw them. English/Language Arts: Conduct a poll about your students’ favorite character, share the results with the class and discuss what character traits made them more attractive or likable. Show a short clip of a longer video and have students vote on what is going to happen next. Discuss what information they used in the information provided made them think that was going to happen. Or, have them vote on what should happen next and use it to develop their storytelling skills. History: Make history concepts come alive! Instead of just reading about globalization, conduct a poll developed by the students and take a look at the results. You could also study the demographics of your class, school, community…who knows. This will make history more interesting and relatable to your students and probably do the same for you! 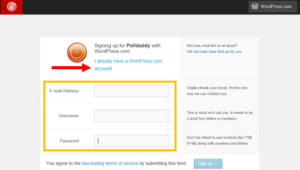 Enter your user information, or if you already have a wordpress account click on that option above. Jones, J. L., & Sinclair, B. (2011). Assessment on the go: Surveying students with an iPad. Gandy, K. S., & Stobaugh, R. (2011). Avatars, Blabberize, and Cell Phones: ABC’S of the Digital Age [paper].